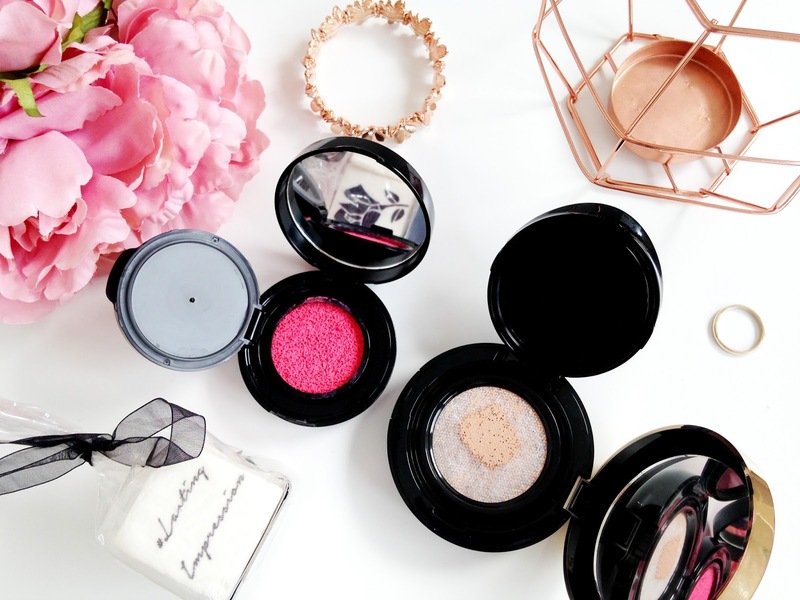 As of a month or so ago I was so happy to receive some very exciting blogger mail from Lancome with their newest releases, the Teint Idole Cushion Foundation and Cushion Blush Subtil. 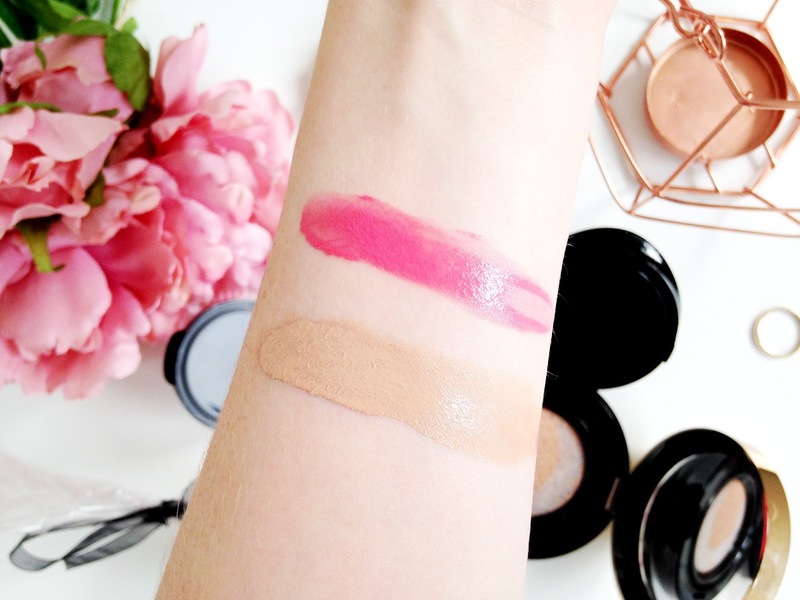 The whole concept of a cushion foundation or blush is something that I am entirely new to but so many brands are jumping onto the bandwagon and creating their own spin on them. At first I didn't think I would get along with them as I'm used to the basic bottled liquid foundation and powder blush. I'm really not much of a fan of cream blush. The Teint Idole Ultra Cushion Foundation(£30) is a full coverage foundation which is sealed within a cushion(or sponge). It comes with a puff which is then used to pick up the foundation from the cushion. You simply pat the puff down onto the cushion and the foundation then comes to the surface ready to be applied straight to the face. I was very unsure at first about applying the foundation with the puff but it surprisingly blends the foundation into the skin seamlessly, blurring out the pores and overall giving a gorgeous satin finish. Although the puff works well though I do like to blend it out more with my real techniques miracle complexion sponge just to make sure that it's all evened out. Unfortunately for me though I have the shade 015 Ivoire which is a little bit too dark for me. I feel that the first or second lightest shade in the range would've worked better for me as I have fair skin. If I wanted to change up my shade or even replace it if I've run out then I can easily do so as it's refillable so you don't need to spend more money replacing it with another. The refill is just £19.50 as opposed to £30 which you would have to pay to buy another. Overall I absolutely love the Ultra Cushion Foundation. The packaging is so luxurious as always and also comes with a mirror which is ideal for travelling. I'm surprised that I got to grips with it quite quickly and I actually seem to prefer it over my usual foundation. It's just a shame about the colour match. It leaves my skin looking completely flawless, it's hydrating and it's longwearing too. I would apply it at around 9 in the morning and it will still be looking beautiful by 4 in the afternoon. 7 hours of wear is good, is it not? I'm so glad that I discovered it. I will undoubtedly be purchasing a refill in the correct shade soon. Now, onto the Cushion Blush Subtil(£28). I have the shade 024 Sparkling Framboise which is a vibrant corally-pink. It is exactly the same as the cushion foundation in terms of how you apply it. You can apply it with the puff that it comes with or simply use your fingers or a stippling brush to build up the intensity. I like to do the latter. It is so pigmented and blends in well, giving a beautiful natural dewy glow to the skin, especially if paired with the cushion foundation. I am surprised I actually liked it. It's not like a cream blush as it's thinner in consistency which makes it easier to blend. I have my eye on the shade Rose Limonade next. You can purchase the Lancome Ultra Cushion Foundation here and the Cushion Blush Subtil here from Boots. 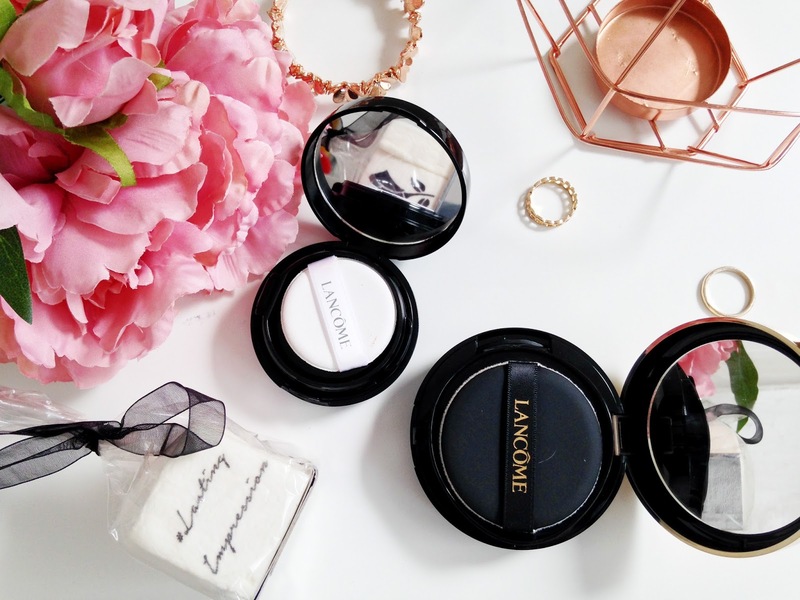 Have you tried the Lancome Ultra Cushion Foundation and/or the Cushion Blush Subtil yet? Let me know!